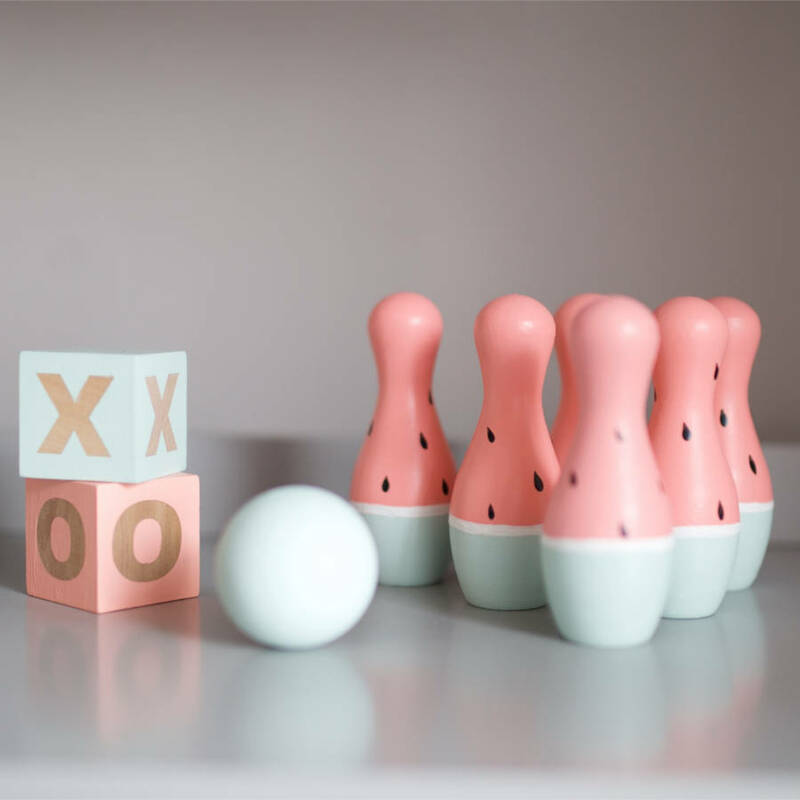 This natural wooden bowling pins and ball set comprises of 10 hand-painted solid birch wooden bowling pins with an accompanying wooden ball. 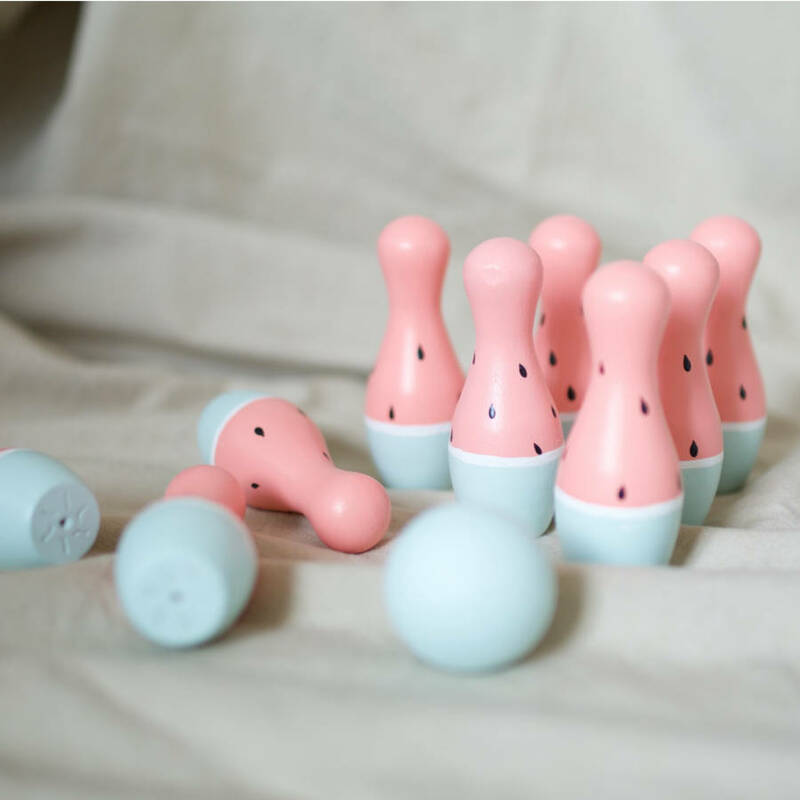 These stylish bowling pins are ideal for little hands to play with or simply displayed on shelves around your home. 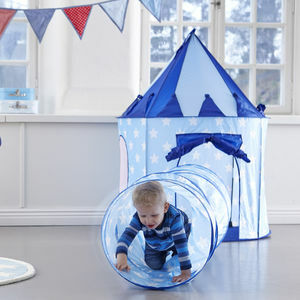 Perfect decor for nursery and children's bedrooms, although they look fab in rooms too! 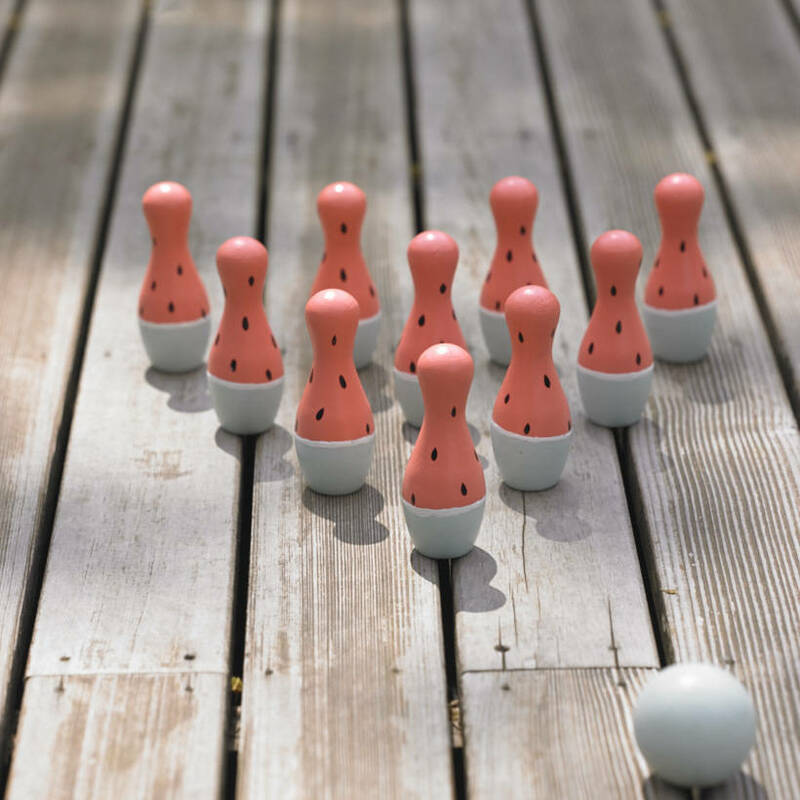 The pins can be used to play an old fashioned game of skittles as they are durable and the varnish coat prevents any chips appearing, functional as well as beautiful! 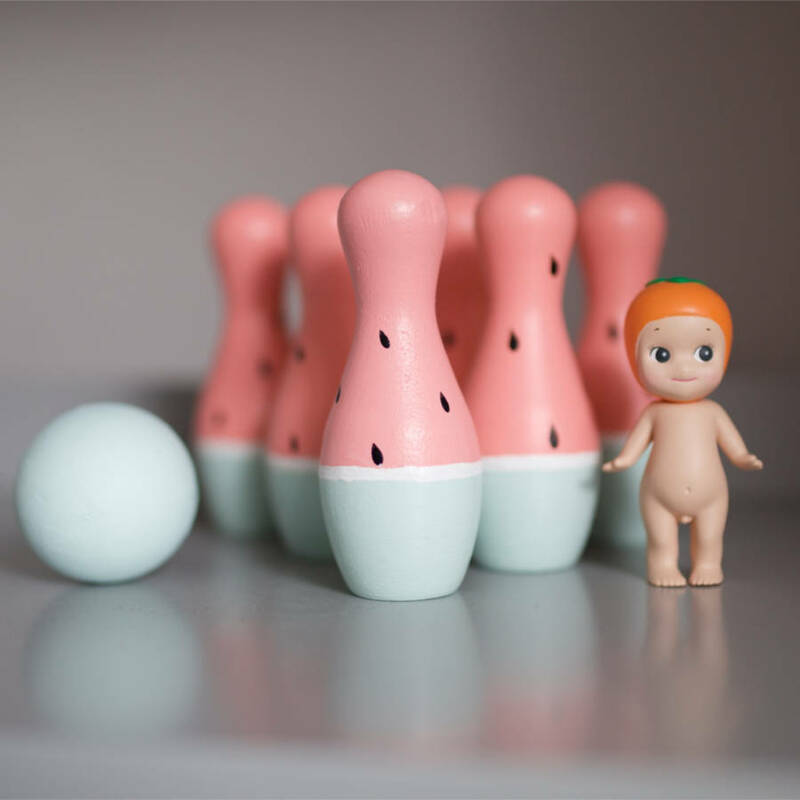 Hand-painted with water based paint & sealed with a non toxic sealant finish, they are safe for babies. 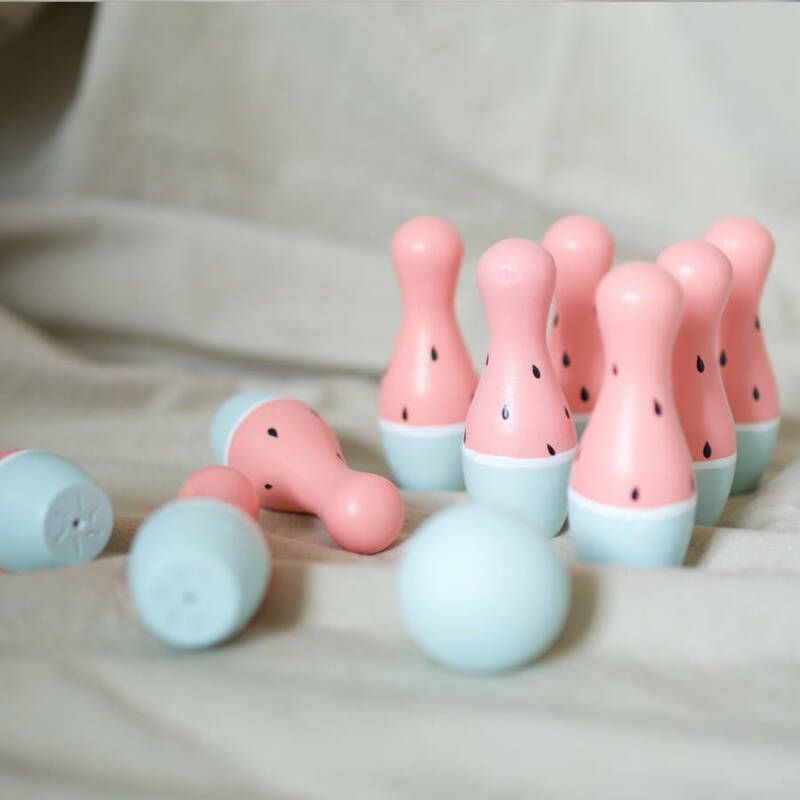 Paper Unicorn's bowling pins have been vigorously tested by little hands & as they are made from a solid hard-wood they will not dent or get marked if bitten. 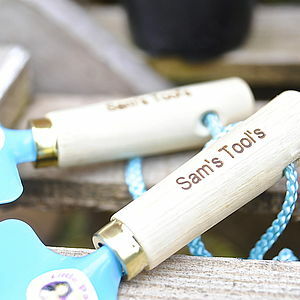 All products are handmade and unique & each set is slightly different so may differ very slightly from the pictures. 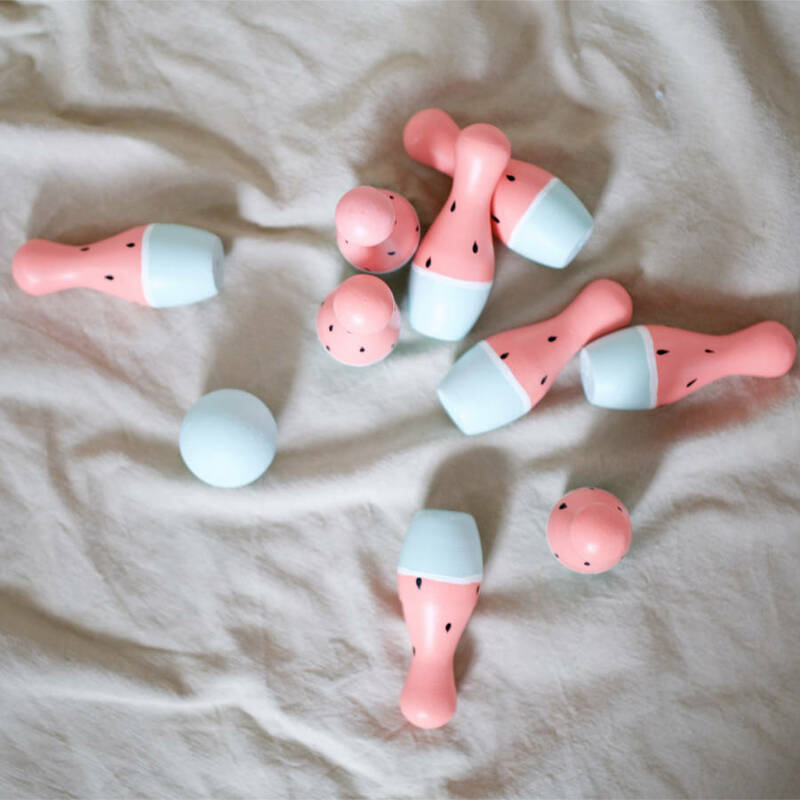 Not recommended as a specific teething toy. 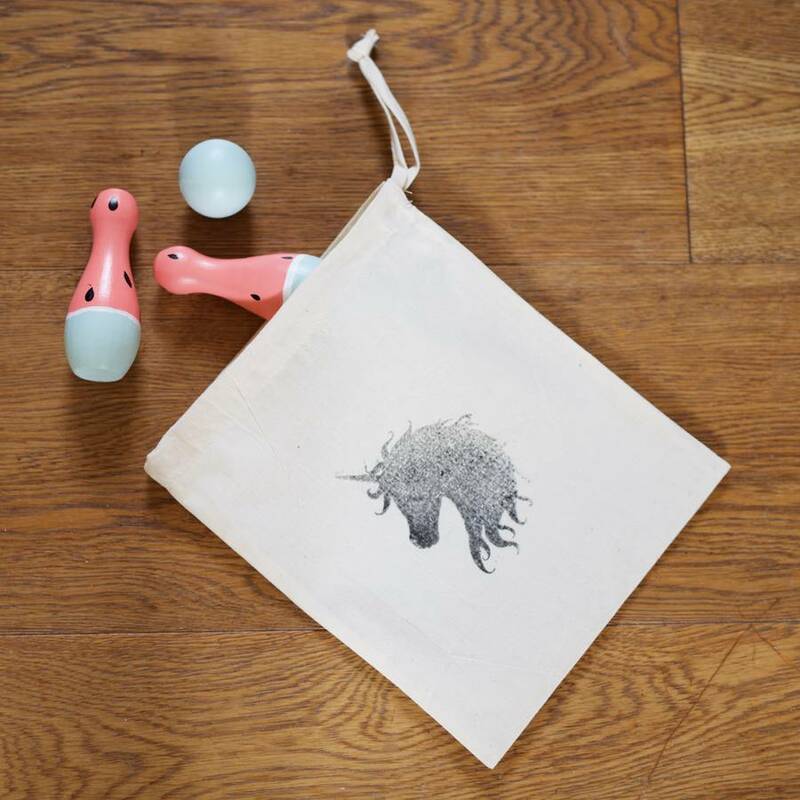 This item is delivered in a Paper Unicorn cotton tote bag. This item is made to order & can take up to 7 days to make before dispatch. We usually ship more quickly than this though and should you need your purchase sooner then please let us know & we will see what we can do! All materials are non toxic. 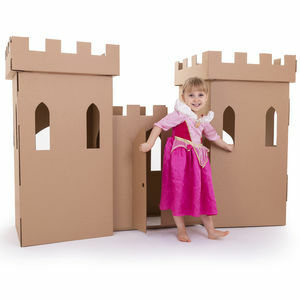 This product is dispatched to you by Paper Unicorn. 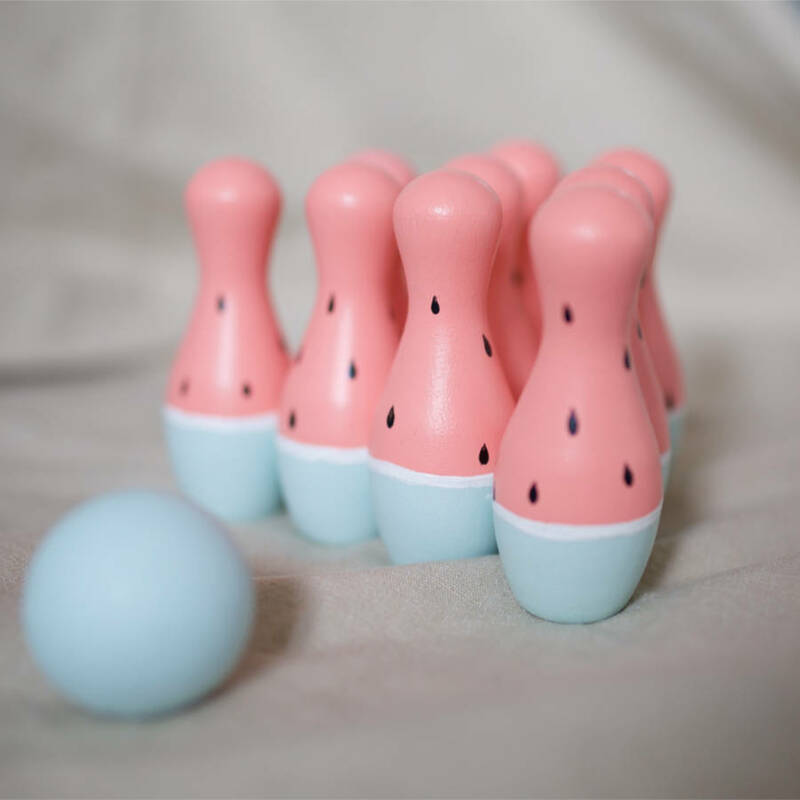 This item is handmade to order. It may take up to 7 days to ship. Should you require it sooner then please get in touch and we will see what we can do.